Sambucol Black Elderberry Extract helps support the immune system as it has high antioxdant levels to protect cells. By buying this product you can collect up to 42 loyalty points. Your cart will total 42 loyalty points that can be converted into a voucher of $ 0.42. Sambucol Black Elderberry Extract for Kids has been specially formulated for children over 1 year of age, contains flavonoids (natural antioxidants) with added Vitamin C and Propolis and may help maintain a healthy immune system. Sambucol Black Elderberry Extract helps support the immune system to help you and your family stay healthy. 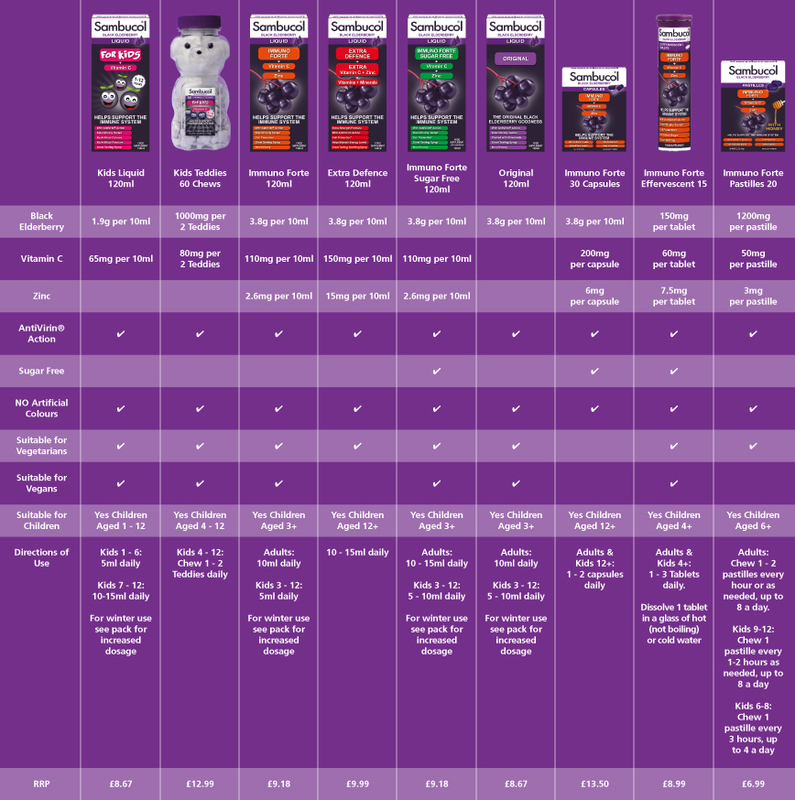 Sambucol is made from black elderberries which have twice the natural antioxidant capacity of blueberries and more than 50% the overall antioxidant capability of cranberries. Antioxidants support the immune system by helping neutralise the harmful effect of free radicals. Sambucol has a unique formulation and extraction process which preserves and maximises the naturally occurring health benefits of the berry.